With the Diablo III Eternal Collection now officially confirmed to be coming to the Nintendo Switch this autumn, there’s been much buzz about certain other games Blizzard could eventually release on the platform. Yes, it is feasible...Anything is within the realm of possibility…Our team was given the task to work on this. If [Overwatch developer] Team 4 picks up that endeavour, that's on them. As of right now Diablo is our only focus on Switch. According to Kotaku, earlier this week during a meeting in San Francisco, Stilwell explained how Blizzard and Nintendo maintained a healthy relationship during the development of Diablo III on Switch - hopefully, leading to more collaborations in the future. Without going beyond [the Diablo port], I think it was a good exploration into the platform and into the relationship with Nintendo that has been extremely positive, extremely healthy and forward-thinking. What do you think? Do you believe Blizzard will release more of its modern games on the Nintendo Switch? Would you like to see more of its games on Nintendo hardware? Tell us below. Big things can come from a Nintendo and Blizzard partnership. Glad it finally came to fruition, and we'll see what happens. I want Rock and Roll Racing. Let’s see how Diablo sells. It's actually that simple. I want Overwatch so i will be buying Diablo 3... In fact i want Blizzard games in general and that starts with Diablo 3. Also after watching some videos i defo wanna try Diablo 3 too... That optional online is really awesome too. 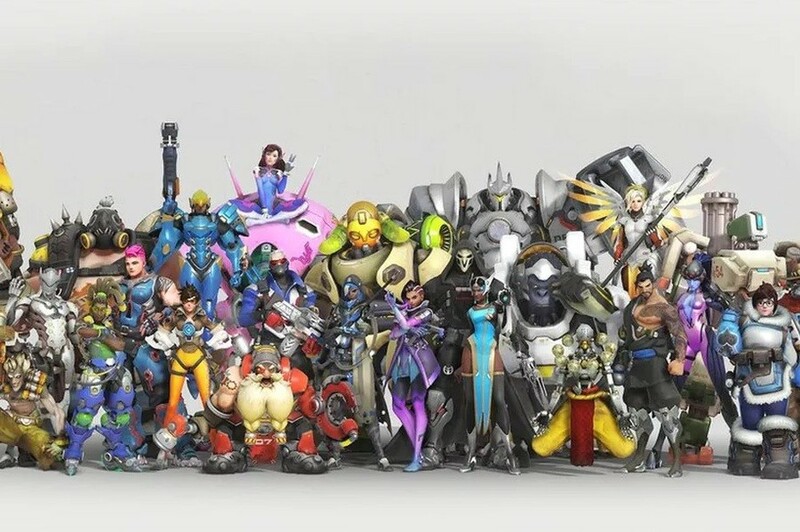 I've no interest in playing the game myself, but I think it would be great for Switch and Nintendo in general if Overwatch shows up. I know the game is quite popular. Seems Nintendo is making great moves and getting the right kind of attention these days. Can't wait to play D3 on the go. They're just doing the same thing Bethesda did. Bethesda tested the waters with a port of an older game as well.........and since then have released 2 more stellar games and now they've announced a brand new Doom that's getting a simultaneous multi plat release on Switch. Sounds to me like Blizzards just doing the same thing. It runs at 60fps on my potato of a laptop with no dedicated GPU, don't see why it wouldn't run on Switch. I hear so much about Fortnite, that I kinda forgot all about Overwatch. I have a few friends on Xbox One and they really enjoyed Overwatch. Good answer from Blizzard. It shows they're taking the Switch seriously as a viable platform for their products. That can only mean good things for the future of the best console on the market. @subpopz i hope you are right. StarCraft Remastered PLEASE. What I would give. Oh, what I would give. Cough I have two children cough! As a PC OW player, please no. because then comes the relentless smash fanbase begging for trace or something. besides that, the game is at its greatest with a mouse and keyboard, like every other shooter. @boop22 I mean, mouse + keyboard is the best, but gyro aiming is still really solid and would be a very nice way of playing Overwatch on a console/handheld. I'd prefer that over PS4/Xbox, even if the Switch version was 30fps. @Audiobrainiac Later on in that same article they said that StarCraft would be impossible to bring over to Switch. @SheldonRandoms None of the systems allow crossplay or cross transfer with Overwatch. PC players play with PC and all their stats stay there. Same with Xbox One and PS4. I think this would be great, but at the same time, Switch's strength lies in its hybrid capability, which means portability, which means offline play. The reason Diablo III is going to sell just as well as Skyrim on Switch, is because they added offline play for single player, offline play with 4 player co-op on one system or 4 separate systems, in addition to online. Overwatch is strictly online. And while I do think it would do well, just like how Fortnite and Paladins are the first two listings in the best sellers list and have been since their launch (gotta check the full list under the search bar to see free games and demos in the ranking), I think offline games will see more success. But, the game is so crazy popular it would probably still outsell most other 3rd party games, so...there's that. Umm. Yeah sure, more heroes are good. @Tasuki I know, just wish it would transfer progression, skins, golden weapons, etc. Crossplay would be fine and dandy, but would be harder to implement for various reasons, so with a way to transfer progression at least, would make getting another version much easier to get. If they ever do that and Sony decides to lock my account to PS4 like Fortnite, would be an unhappy camper. Eh. Not really interested in it. Make it happen! After seeing how well Paladins plays there, I'd happily consider Overwatch if it works well on the Switch. Hearthstone seems like a no brainer if they can't bring others. @WreckItRyan Maybe we can finally get a version of StarCraft Ghost... made by Platinum. Why did they have the need to tell us this again? We get it. The port will take work, work that you don't want to do. @Heavyarms55 Heroes of The Storm could potentially be possible as well. I could see that working similarly to the Diablo III console ports. @Deku-Scrub "We'll do it if Diablo 3 sells well"
And yeah, I'm perfectly okay with that. Remember, they haven't released a game on a Nintendo system since the GBA. Overwatch Ultimate on Switch will have all the Smash Bros characters. It will make Splatoon obsolete. I've never played Overwatch, but I've had a lot of fun playing Paladins on Switch so I'd definitely be interested in Overwatch if it comes to Switch. Beats the hell out of that last statement. "Overwatch is on PC, Xbox One and Playstation 4. Those are the consoles it's currently on". That was worse than nothing. Personally I've pretty much abandoned the PS4 for most games, I'd love to give Overwatch a second chance, provided it doesn't launch again for the full eighty bucks (CAD). The Switch could always use more heroes! I think it will happen, if they’re not working on it already. @SheldonRandoms OMG you got a Blizzcon skin, I am so jealous. But yeah I know what you mean. I have a bunch of cool skins as well that I would love to transfer. I adore Overwatch. Burned close to a thousand hours on PC and I'm ready burn that same amount on the go. Seeing they said the same thing last year, that they were not working on a Diablo 3 port, when they infact were. It's pretty much a given they already started on the Overwatch port. It's far superior to Paladins and is pretty much a guaranteed hit on the Switch console. In fact, Overwatch will almost certainly do better than Diablo 3 in sales, since it's a far more popular genre now. @Liam_Doolan Eh, why not, we already have fortnite and paladins. Too little, too late methinks... That would have been great a year ago, when the game was still mostly at the height of its popularity but now? I can't see anyone choosing to pick it up on Switch. If they do release it, it would only sell bad and then they'd stop making games for Switch without realising why it didn't sell: too late. @Tasuki “StarCraft 2”. The first one would be all I’d ever need, remastered or not. I feel like Blizz has been taking note of the success of Paladins and Fortnite on switch. Maybe some Nintendo themed skins could spark a little bit more interest? I can see Tracer Link, DK Winston, Samus D.va and Captain Falcon Lucio being things. Yes please!! I have not had a chance to play it this would be great! I haven't played Overwatch for like a year and half but if it came to Switch, ran well, I could transfer my progress from XB1 and have crossplay with XB1 I'd consider getting it. There's no doubt if that happened, there would be another Fortnite controversy regarding Sony too. The more 3rd parties that put pressure on Sony the better. ah OW...i remember having fun with that in closed beta. had it since day 1 on PC, wouldn't mind it if it came to switch. to the people listing taking their progress to another system, don't even count on it. That just isn't going to happen. Crossplay with xbox would be the highest chance but that likely wouldn't happen either. Would need their own party system and I don't see that happening. I'd get it. It's really THE Blizzard game I want on Switch! Not interested in Overwatch, or hero shooters in general. But at least we're getting Diablo 3 out of this. Hope we can get the Spyro trilogy in a timely manner as well.... On cart. So the free to play that isn't free to play. They would be foolish not to do it with how well Fortnite and Paladins are doing. Being online only will hurt the game's appeal on Switch (unless Overwatch goes the F2P route like Fortnite/Paladins but that's highly unlikely), but at least Blizzard confirmed the obvious - that a game which can run on a potato of a PC can also run on the Switch.